Congratulations to our Founding Class at Beta Chi-University of Kansas! 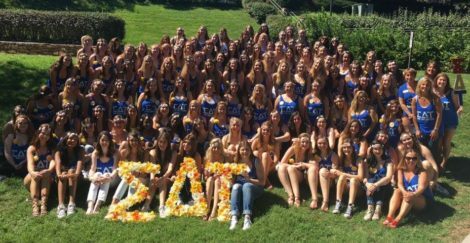 SDT had a successful recruitment in September 2016 to welcome more than 100 women during Bid Day! Over 100 women were initiated on October 30, 2016, to mark the re-installation of the Beta Chi chapter at KU.